Yes, it did. I think those of us who live in a global culture can’t imagine what it meant for those boys to be taken off the farm and marched away to another world. It would have been traumatic and disorienting even without shells, bayonets, and bullets. 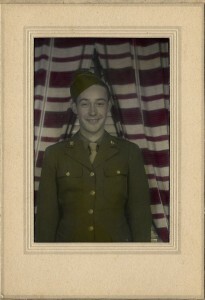 My grandfather’s brother came home from the war. And, my father came home from the next one. We are fortunate. Too many wars have scarred our world. Too many sons, daughters, fathers, mothers and brothers have not come home. The Bible tells us it will be that way until Jesus comes back to make all things new.